The Biology Ph.D. program received the 2019 Dean’s Award for Inclusive Excellence in Graduate Education. Irene Liao, Profs. Paul Manos (Chair) and Mohamed Noor, Julia Notar, Ariana Eily, Karla Sosa, Jonsthan Colen, Brandie Quarles, Lauren Carley. Students in the 2013 offering of "Plant communities of North Carolina" at the summit of Richland Balsam just off the Blue Ridge Parkway. 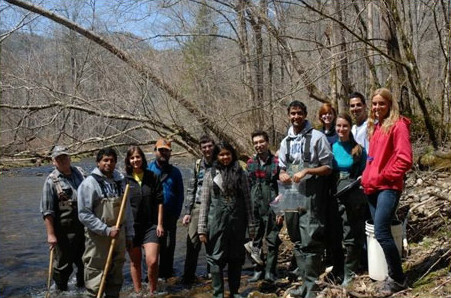 Duke students study plant diversity throughout the state. Professor Bill Morris is measuring alpine plants for a long-term study of the effects of climate change on the abundance and geographical distribution of species. Renowned animal physiologist Knut Schmidt-Nielsen captured in bronze by artist Jonathan Kingdon. The work was commissioned by Stephen and Ruth Wainwright. View to the top of the French Family Science Center atrium. The crown jewel of Trinity College of Arts and Sciences research buildings houses Biology, Chemistry and Physics laboratories. Completed in 2007 with a generous donation from Duke alum, Melinda French Gates. Our overall goal is to expand and strengthen training opportunities for undergraduates at the cutting edge of our discipline. Our undergraduate education produces young scientists and citizens who understand the scope and perspective of modern biology. We support undergraduate scholarly endeavors, train students for an array of careers in research and related professional fields, and communicate the impact and significance of biology to an array of students. We offer a broad range of learning opportunities, including traditional classroom experiences, hands-on experiences in the field and the laboratory, independent study, and full student engagement in research. Requirements for the Ph.D. include course work, participation in seminars relevant to your field of research, successful completion of an oral qualifying examination, one year of teaching experience, completion and defense of a research dissertation under faculty guidance. 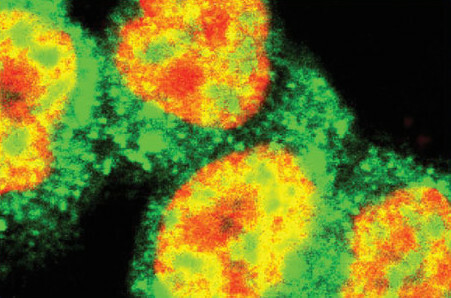 We conduct research in a broad range of areas: ecology (including behavioral ecology, population biology, community ecology, physiological ecology, ecosystem analysis, and biogeochemistry), functional biology at the cell and molecular level (including cellular physiology, molecular genetics, developmental biology, developmental genetics, genomics, and bioinformatics, in both plant and animal systems), functional biology at the organismal level (including comparative physiology, functional morphology, biomechanics, and animal behavior), and evolutionary biology (including population genetics, evolutionary ecology, evolutionary morphology, macroevolution, biogeography, and systematics). 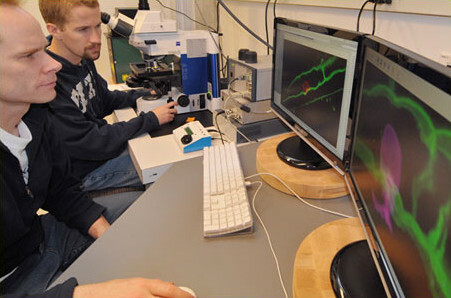 Many faculty research programs span multiple research areas and levels of biological organization, creating a dynamic training environment for graduate students interested in cross-disciplinary training.